Officials in Cleveland, Ohio have reached a deal with the Department of Justice to settle complaints contained in a scathing federal review of the city’s police force released late last year. 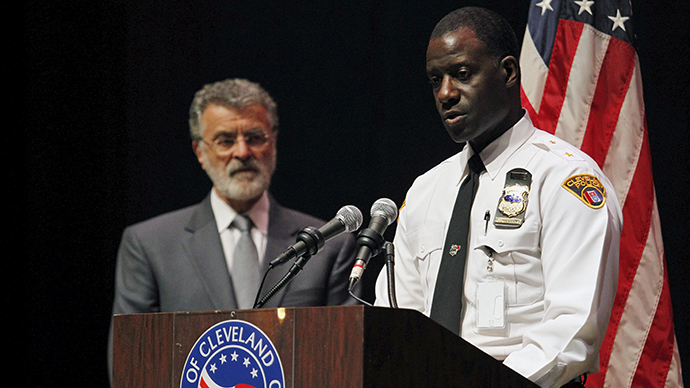 A civilan will now OVERSEE Internal Affairs in Cleveland. A huge deal. The question will be who appoints that civilian. At the time, the city was still reeling from the November 22 police shooting that took the life of Tamir Rice, a 13-year-old African-American boy shot down on a Cleveland playground by the CPD. More recently, the city has again become a focal point with regards to policing after a jury on Saturday found Officer Michael Berlo not guilty of voluntary manslaughter with respect to the 2012 shooting death of two unarmed people. According to local media, at least 71 protesters were arrested over the weekend for failing to disperse from demonstrations held in the wake of the Berlo ruling. The Justice Department previously opened nearly two dozen investigations into police departments during the administration of President Barack Obama, according to the Times, and authorities in places like Seattle, Newark, Albuquerque and Ferguson have all been subjected to federal scrutiny during. In the interim, the White House has announced it’s providing millions of dollars to law enforcement agencies across the country, so that police departments can purchase body cameras that will record officer activity and attempt to bring accountability amid a wave of violent police conduct across the US.